Play • Explore • Nature • Art. Nurturing since 1975. This is a staple field trip every year and a favorite among children and their guardians. We explored Kettle Cove beach (in Cape Elizabeth) and its surrounding trails. 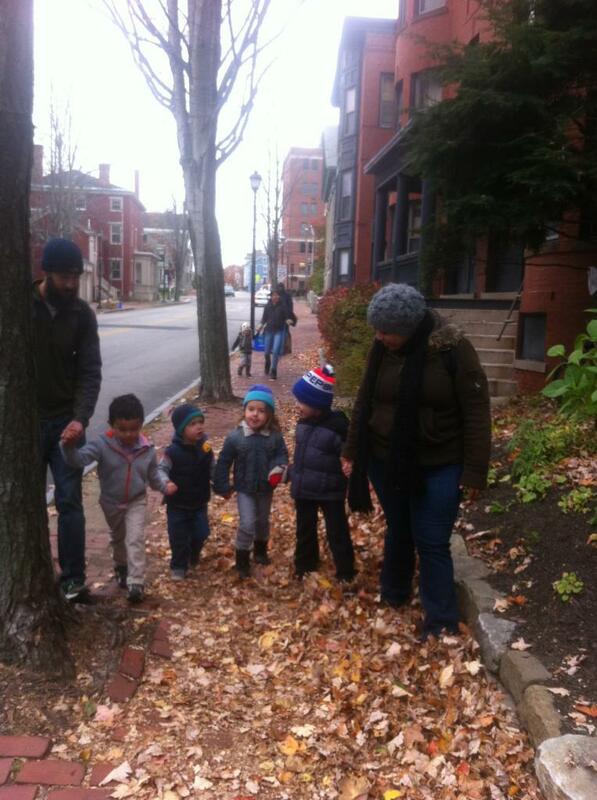 The kids walked the trails in their socks to collect seeds. 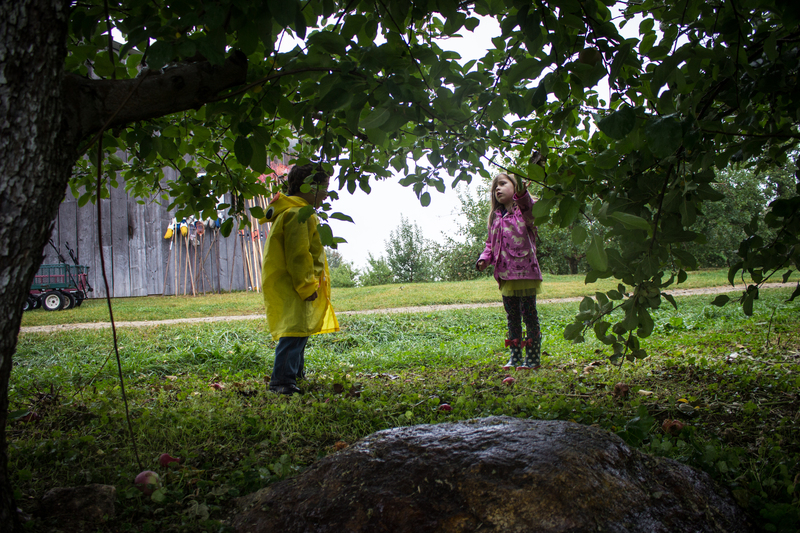 We also collected nature’s finds along the way, like rocks, sticks, pretty leaves, apples (yes! ), animal feathers, empty cans, bottles, pieces of garbage, flowers, shells – their bags and buckets filled up quickly. After a picnic with kids and parents at the beach the kids enjoyed playing in the little stream, feeling the sand underneath their feet, balancing on wooden wiggly beams, inspecting the seaweed and discovering new objects, running and climbing on the bridge, and playing imaginary games of sea captains, boat builders and beach ballerinas. Life is fun when it’s at the beach! We spotted students continuing trying out the “does it float or does it sink?” method, like L. with the yellow boat. Jumping in in and out of the pools of water was a favorite of course as well. A field trip means that parents are invited to join, which is a highlight for the children, and it makes especially the new students like C. feel more comfortable while we still get to know each other and while we learn, discover, and play together in those early weeks of school. We had a full outdoor classroom with at least one parent per child present at this field trip. Woohoo! It was FUN! Thanks for coming out in one of those last nice September days! 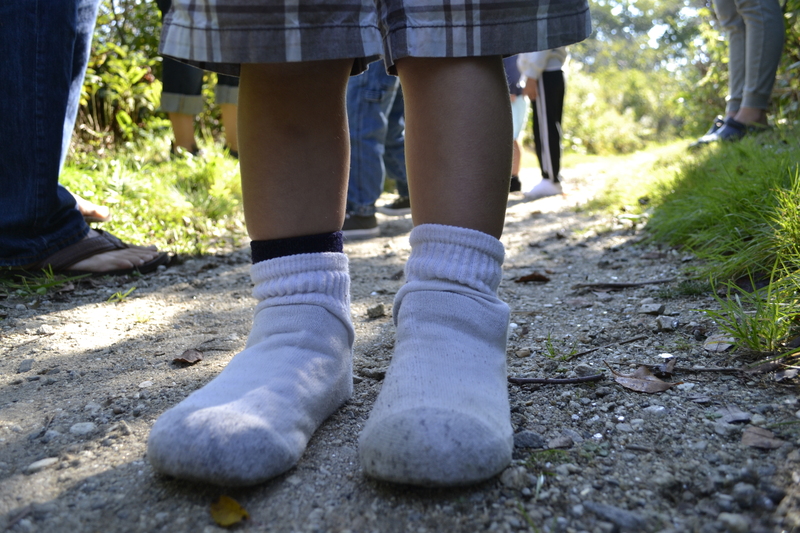 The kids walked the trails in their socks to collect seeds. They plan on investigating the seeds and planting their socks once they return to school! 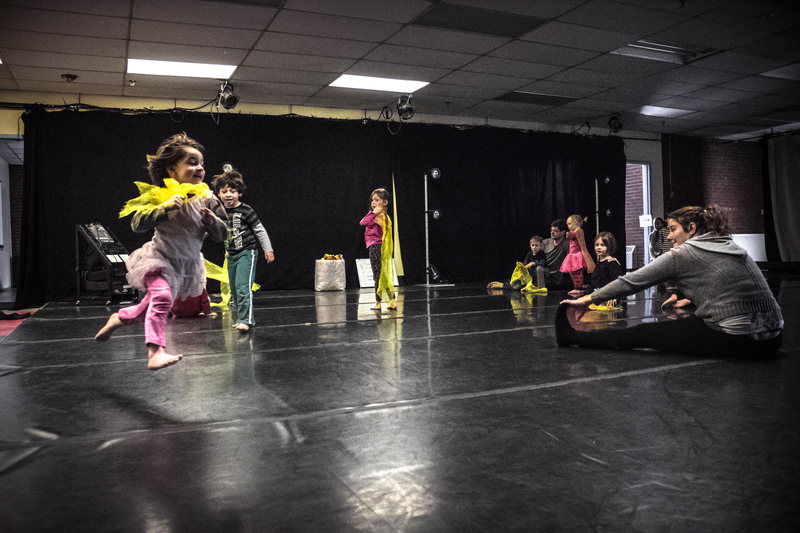 What an incredible way to close out our dance unit! 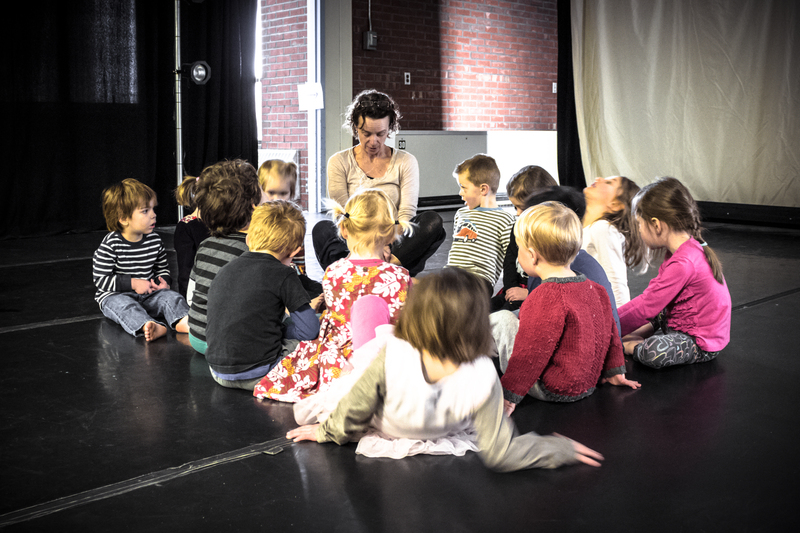 Thanks Lisa for having your students share their amazing performances with our kids and for our final dance lesson with you. Going to the greenhouse after the dancing was a tremendous surprise. 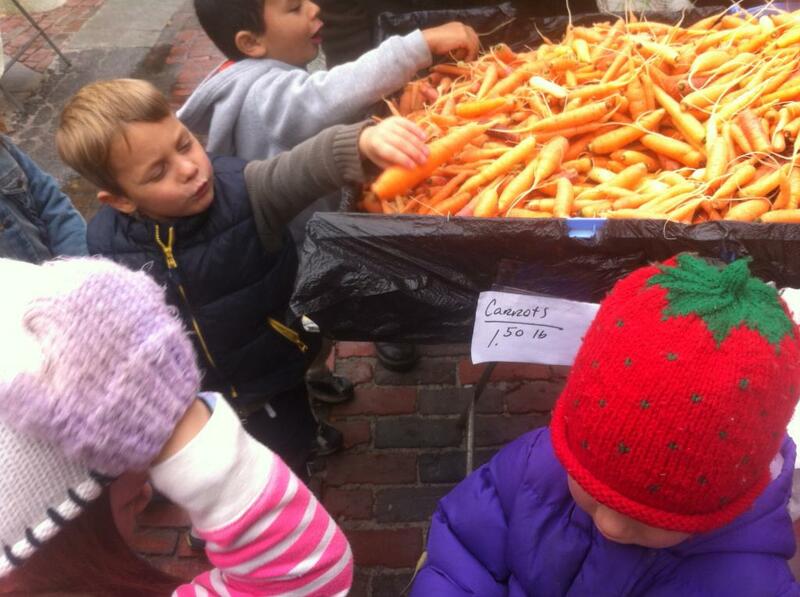 Another great trip, this time to the Monument Square farmer’s market to get some veggies for our class soup. 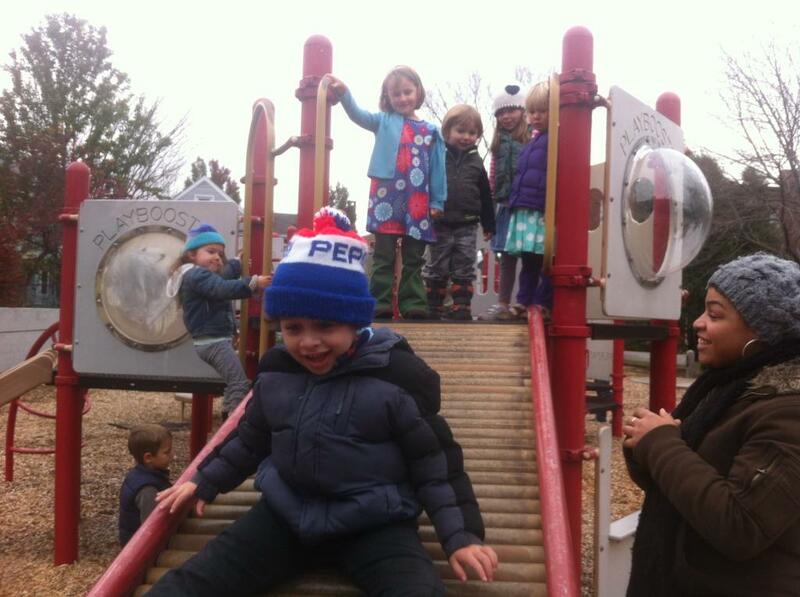 The adventure wasn’t complete without a stop at Pleasant Street playground. Thanks to all the parents who joined us! 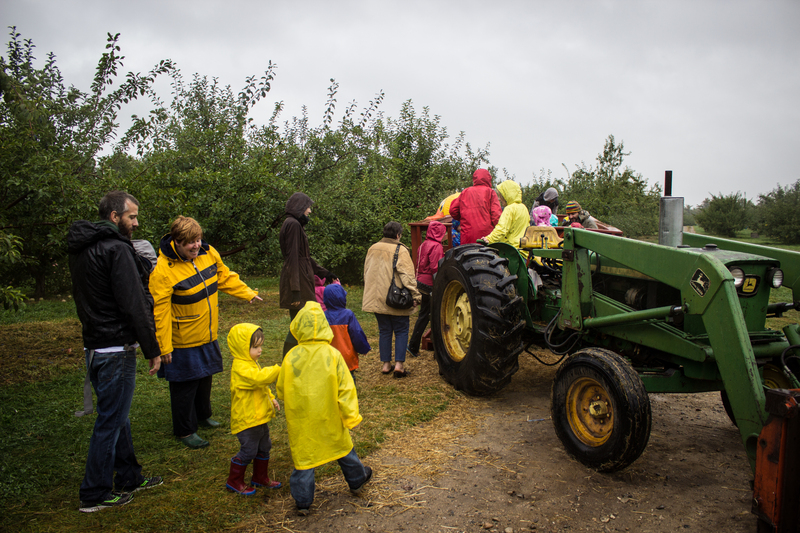 A hay-maze, apple picking, tractor ride and learning about the animals that nab the fruit by night? Amazing! Thanks to Carrie for organizing the trip to Dole’s Orchard. We had a blast despite the rain! Thanks also to Nancy for hosting us.